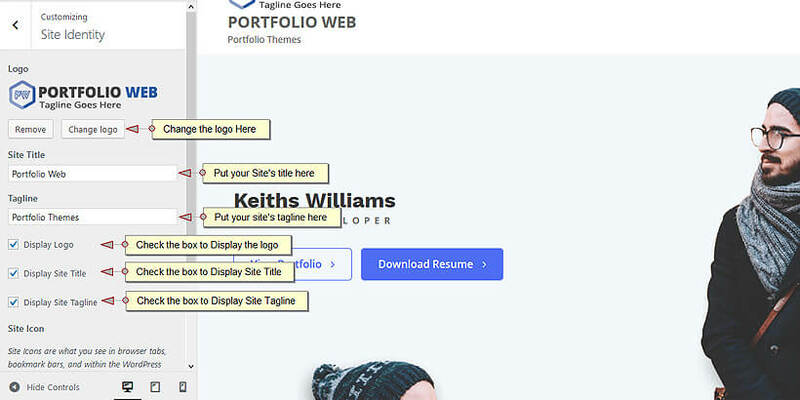 Portfolio Web is a Fully Responsive Multi-purpose WordPress theme. 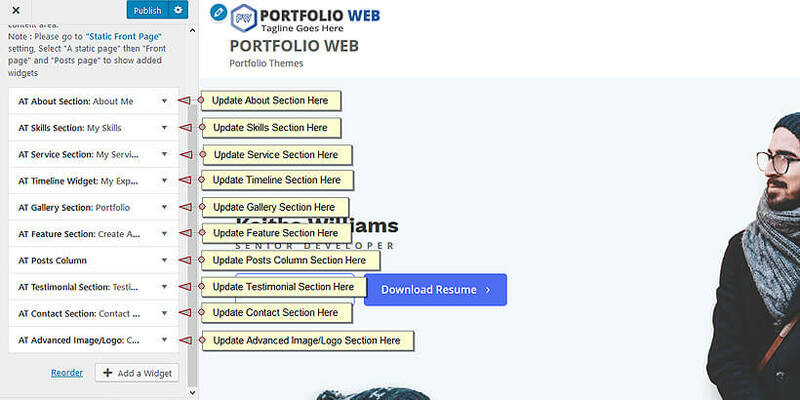 This theme is an ideal one for any kind of portfolio page or website. 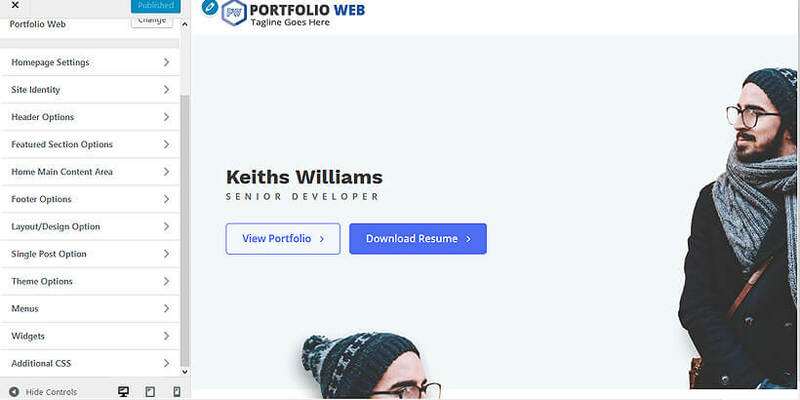 Extract portfolio-web.zip and upload the folder. 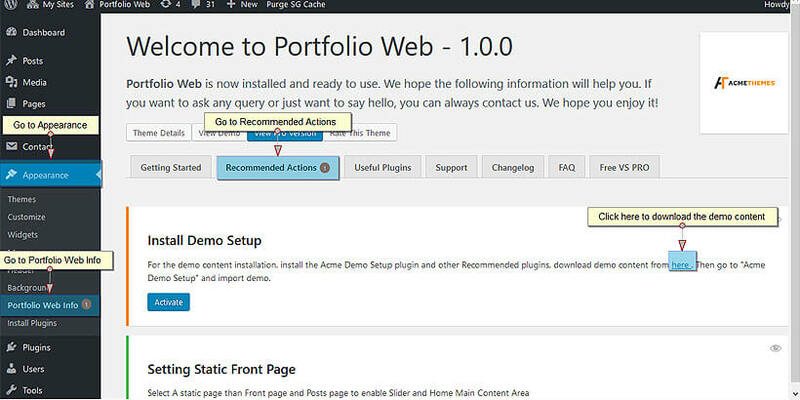 One click demo import is available on Portfolio Web. 2. Please download the Dummy content from here. 4. Go to Appearance => Acme Demo Setup and upload the zip and import demo content. Note: We recommend you to import demo data on a new installation. too. Feature Image and Excerpt Fields are used in the Widget and Sliders. Note: This theme has been tested with Gutenberg editor and is highly compatible with it. So, you can use the awesome features of Gutenberg. This theme can fully customize from the Customize section. To customize the theme, Go to Appearance > Customize. You will find the various options related to the theme. You can add as many pages as you want. Later you can select the added page in the Slider and Widgets as their components. If you want to create Home/Front Page similar to the demo but without importing demo content, you can follow the following procedure. Please set home page and blog page with the following procedure. After setting the Front Page and Blog page. Go to Appearance => Customize, all available theme options are here. 5. Adding Home/Front Page Other Sections like About Section, Count Down Section, Gallery Section, Schedule Section, Speakers Sections, FAQ Section, Testimonials Sections, Blog and News Sections, Contact Sections. 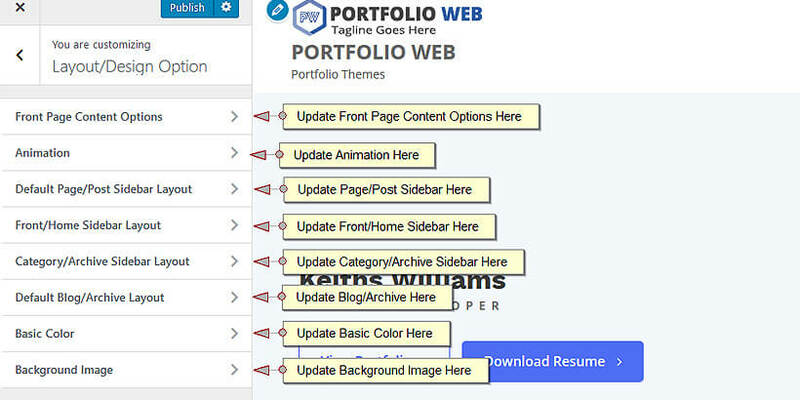 When you go to Admin Panel > Appearance > Customize , there you will see various options available to customize your site. 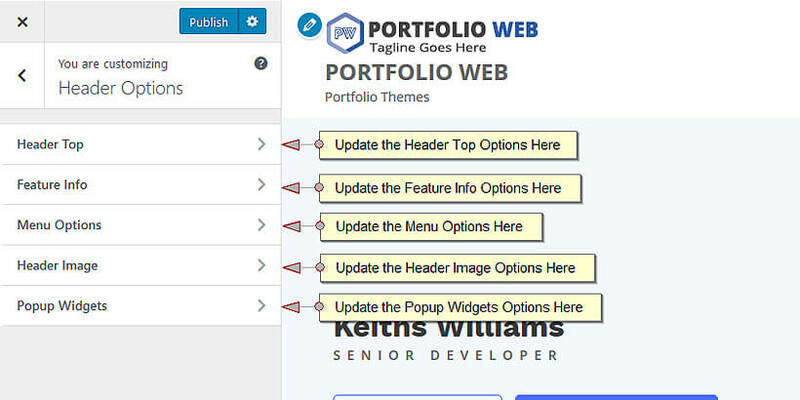 Just try those options one by one you will able to understand how the theme works and can create any kinds of sites. 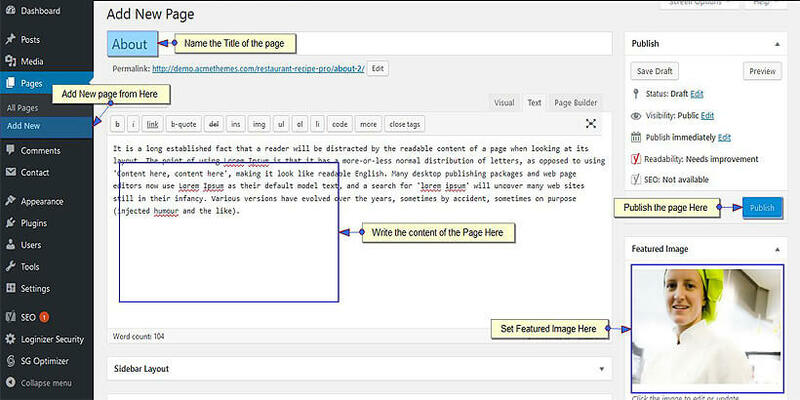 This section helps you to set the front page and blog page. You will get the options to manage Site title, tagline, and logo. 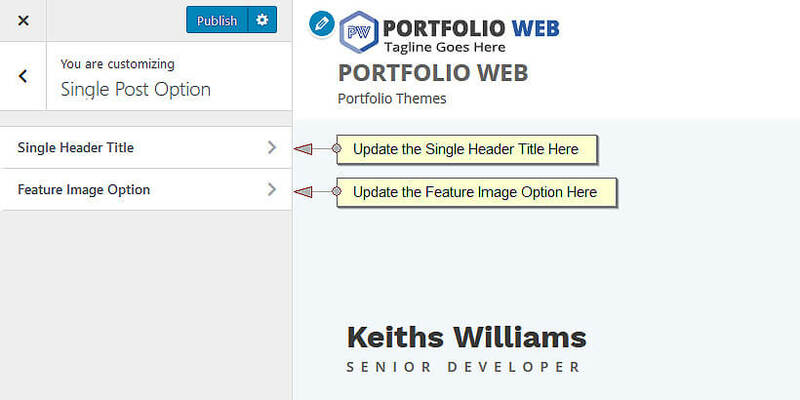 Use the available options to customize the logo, site title, and tagline. If the preview is fine Click on Save & Publish to save the changes. You can choose different kinds of header options here. If the preview is fine, click on “Save & Publish” button to save the changes. You can choose different kinds of options for the menu here. You can choose or put images for header here. You can choose or put popup images here. You can add beautiful Feature Slider with Feature Info on the Front Page. Feature slider also includes the ability to add Count Down Timer. It has the following options. Select the pages for the slider Items. If the preview is fine, click on “Save & Publish” to save the changes. 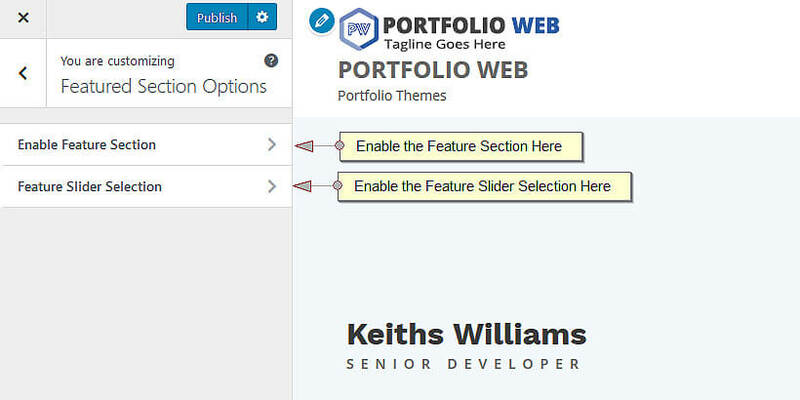 Title, Excerpt and Featured Image of each selected page will appear as a slider content and Image. Check all the available options to manage the slider section. You can make the responsive image or full-screen background image from the available options. Home main content area is special Home Page Sections from where you can add the available widgets to make the site as our demo page or even better. 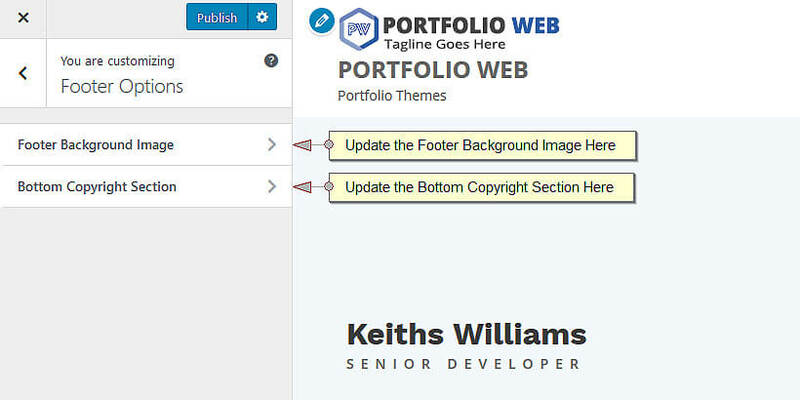 Footer Options will help you to change the copyright text, Social icons or Footer menu on footer sections. 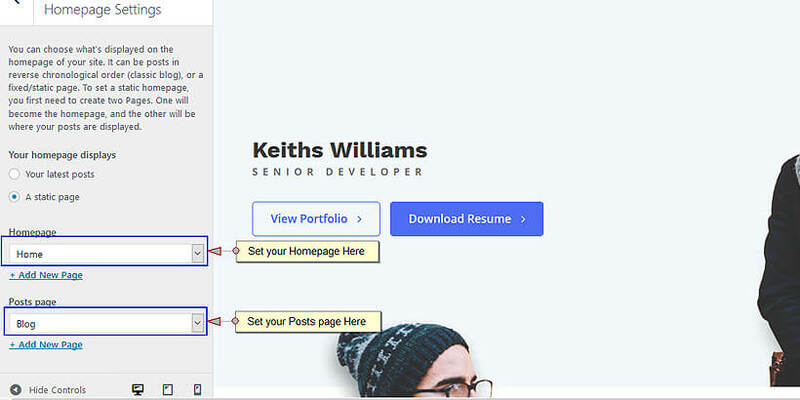 Layout Design Options help to change the overall layout of the site including Front Page Content, animation, the sidebar for Frontpage, Archive and Inner pages, Colors, Blog and Single Image size, Background image etc. Check to hide the front page content of home page. You can update the button designs here. Check this to disable overall site animation effect provided by theme. Select the sidebar from the available drop-down option. This option helps to select featured image size, Read More text and overall blog/archive/search layout. Check the image options and read more options. This version has 5 different color options. Check the available color options and select the required color for you. This option lets you add more advanced color to your site. Select the image for your site background. Check to Enable Breadcrumb to enable it. Enter the suitable search placeholder. Enter the social link and select the icons for the respected links. Use search features there. You can update title and locations for the footer. You can update this custom menu named Project. 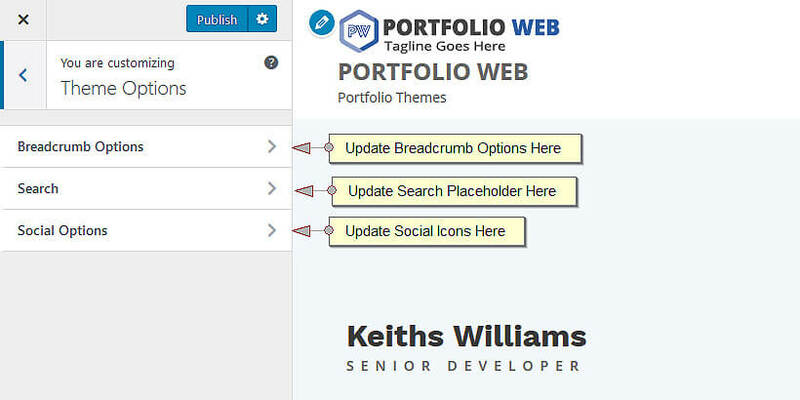 You can update widgets in the first column of the footer. 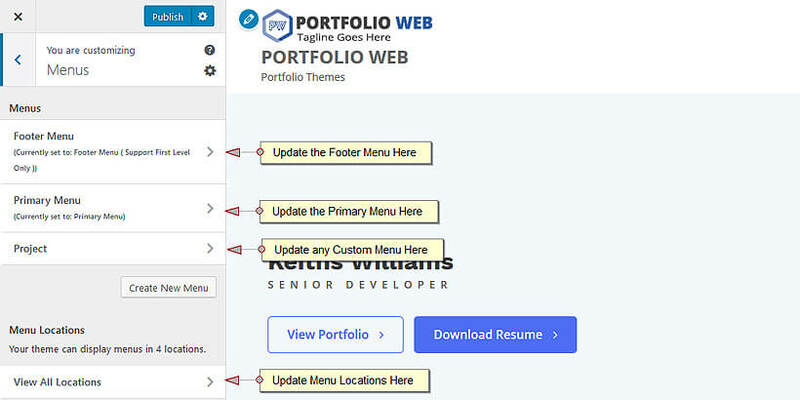 You can update widgets in the second column of the footer. You can update widgets in the third column of the footer. You can update widgets in the fourth column of the footer. 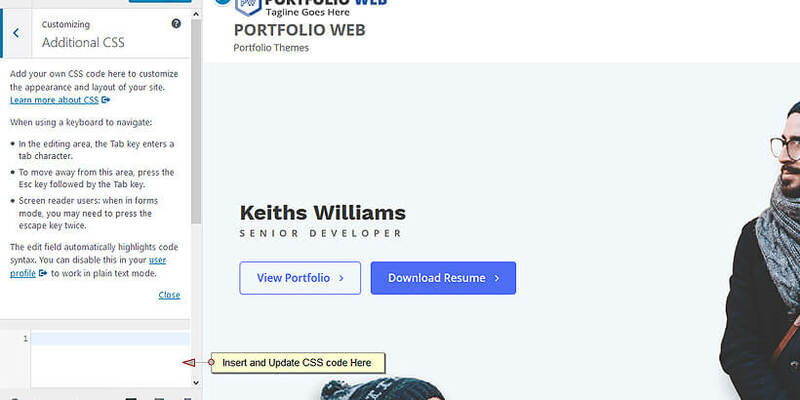 Additional CSS lets you update the outlook of the site by adding more CSS to the theme. If you have any confusion, please use the support forum for queries.